Last Friday over 70 residents attended an exhibition by Taylor Wimpey of their proposals for the development of the Cattle Market site. This is the second scheme proposed by Taylor Wimpey. The previous "affordable housing" proposal was discussed and rejected by residents in November 2007. 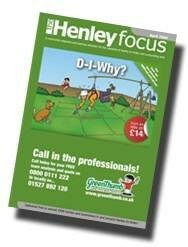 Read the Henley NEWS Online report in Edition 180. The new scheme reduces the number of dwellings to around 42 and includes a small supermarket. 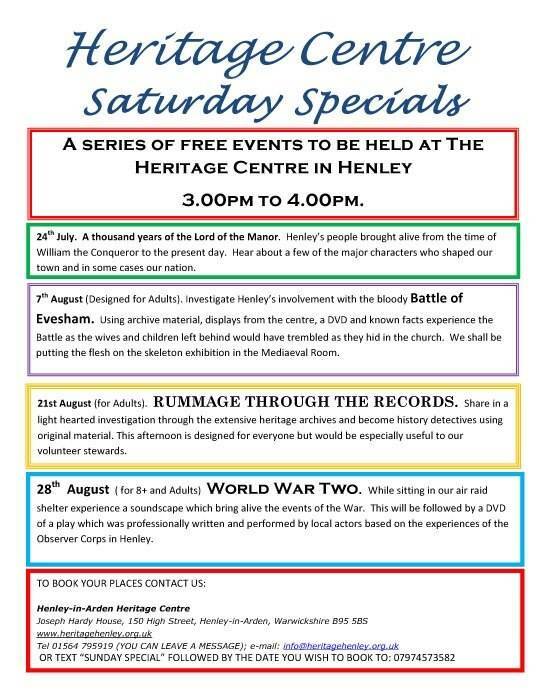 Henley NEWS Online requested copies of the information panels displayed at the exhibition for inclusion in this edition but this request was refused. Concerns about car parking for around 100 additional cars, deliveries to the supermarket at night, the known flood risk and increased traffic on the Warwick Road have already been expressed. 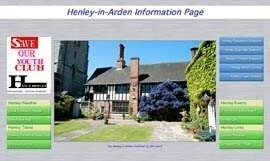 Your vote is most important for the development of Henley. Please vote now by clicking on one of the links below. If you believe that there should be a public meeting, please indicate you do "NOT APPROVE" at present. By clicking on one of the links, 'Approve' or 'Not Approve', you will generate an email to a special address. Add a comment, if you wish, which may be published it with your name. Then press Send in the normal way. The result will be subject to confirmation by the independent scrutineer and published in the next edition. The plan completely disregards the increased traffic which the development will undoubtedly generate, especially if shopping is included. There is already significant congestion on Warwick Road and the plans for this development will do nothing to alleviate the problem. The proposed supermarket is remote from existing the retail 'footfall' in the High Street and is inappropriate in a residential development. It appears that the supermarket is included in the scheme as a means of providing funding the developer rather than any proven need from residents. The proposed 3 floor housing is not in keeping with the contiguous housing in Prince Harry Road and the High Street. The flats on the old Golden Eagle site prove the error of allowing development which is inconsistent with the surrounding area. There is just not enough room for a 4,000 square feet retail unit; 18 car spaces is not nearly enough. Delivery access for artic lorries is ludicrous. It is sited at the only access point for the development. The traffic chaos, especially the 39 weeks the school is open, would be unimaginable. Building a supermarket on the site would close down Somerfields and/or One Stop which would destroy the High Street as a trading area and - even worse - take the soul out of the town. No longer could we wander along the High Street knowing we would be sure to meet someone we know to have a chat and make us feel what a special place we live in. One access for traffic and pedestrians is not enough - especially as it is so close to the traffic lights. There should be another access into Prince Harry Road for vehicles and into the High Street (via the Horsefair) for pedestrians. It is unfair to have the 3 storey properties backing on to High Street properties and invading the privacy that they have enjoyed for 150 years. They should be moved to another part of the development. There is no provision for the cars parked outside cottages in Warwick Road or the fact that there are 600 pupils attending the school using the same stretch of road. The provision of 19% for affordable/social housing should be a minimum of 30% if it is to have any impact. I would ask that the Joint Parish Council and/or Henley NEWS Online organise a town meeting ASAP for a full debate. As someone living in Prince Harry Road, I welcome the revised plans for the market development and wholly oppose the amendment suggestions from John Latham. I oppose his suggestion that there should be another entrance on Prince Harry Road. We do not want three storey properties overlooking our homes either, nor do we want to see an increase in social housing. Passing the problem over is not a solution. Like Mike Faulkner, we do not want further access to the site from Prince Harry Road. This is a narrow road, sufficient only for two cars passing, and an essential route to the Medical Centre and the rest of the estate. Our main concern is that the proposed housing on Prince Harry Road would appear to have no frontages and will therefore be built immediately adjacent to the existing grass verge; and since the garages for these houses will be at the rear of the properties, residents and visitors will then park on Prince Harry Road, thus causing unacceptable congestion. We are also concerned about the congestion on the Warwick Road should there be a retail outlet, and we would also want reassurances about the proposed anti-flood measures. I agree that a meeting is required. It is important to hold a public meeting because any proposed development on this site will be of significance to the whole town as well as those living in that particular area. All issues should be able to be debated in a democratic and orderly fashion, so that a satisfactorily outcome may be achieved, for the better of those living in and around Henley. Traffic chaos is guaranteed & another Supermarket is not needed in our town. Go back to the drawing board & consider the problems, instead of the profit, before coming back with another plan! I am totally against the Market Development - they should leave well alone. We do not need a supermarket as we already have a sufficient one (Somerfield) in Henley. As for the housing - well the 19% affordable housing can't be many if there are only 42 dwellings beiing built! As usual there is no consideration for the people who live in the town it's just all about money! 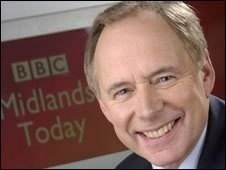 Last Sunday, Wedge's Warwickshire on BBC Coventry & Warwickshire featured interviews recorded at this year's Henley-in-Arden Court Leet day. Keith Wedgebury spoke to the High Bailiff, Roger Sutton, who explained all the ceremonies which were reenacted on the day. Former High Bailiff, Ray Holding, explained the Court Leet's duties in medieval times and how the Officers are appointed today. Ale Taster Andrew Garner gave a detailed explanation about the responsibilities of ale tasting. There were entertaining contributions from Gerald Smith about his 22 years on the Court and Fred Dowling talking about resolving trading disputes in medieval times. 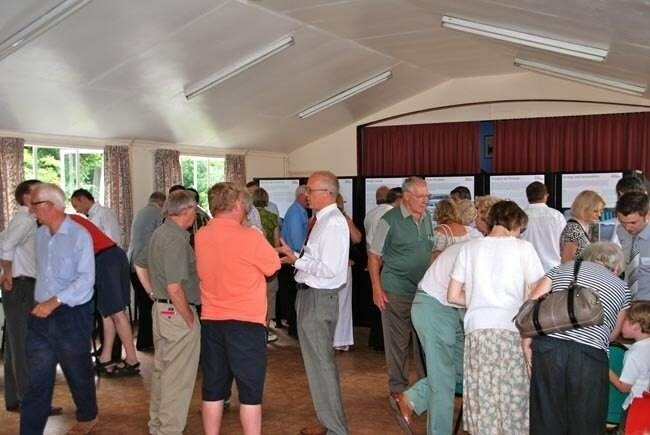 During the last two years many Henley-in-Arden and Beaudesert residents have found themselves increasingly frustrated by the attitude and behaviour of our Joint Parish Council. Why has this happened? In a nutshell, the JPC have closed the door to open discussion and lively debate. They have now created a situation where they are in open battle with local clubs and societies. They are accused of failing to listen to residents, mismanaging meetings and massively increasing the cost of running the Council. Added to this there are allegations of improper behaviour by councillors, hostility to Henley NEWS Online, withholding the grant funding to the TIC, confrontation with the Henley Society over the design of CCTV cameras and no real progress on the key issues of flood prevention and parking. It is time for a change and in order to facilitate it in a responsible manner, The Reform Association is now up and running. It held its first public meeting last week with attendance and apologies totalling over 30 residents. 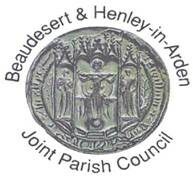 To provide an inclusive and non-party political forum to establish and express the needs and desires of residents and to ensure democracy and transparency in the affairs of the Beaudesert and Henley-in-Arden Joint Parish Council. Mike Willmott, pictured left, was unanimously elected Chairman. Mike, who lives in Orchard Rise, is retired and has held a number of very senior appointments during his career, including General Manager of Rolls Royce's world wide Parts and Service Division, Director of the Overseas Division of Lucas World Service and Marketing Director (Aftermarket) of ADTRANZ, the rail company of Daimler Benz. Mike told Henley NEWS Online, "I am willing to put some time and effort in trying to give Henley-in-Arden a Joint Parish Council that is responsive to the residents." Malcolm Coulter was elected Secretary and John Garner the Treasurer. With the next election almost two years distant, the Association will be planning a series of consultative monthly meetings to establish the wishes of the majority of residents. The status quo must not go unchallenged. Anyone can join The Reform Association and will be welcome at the next meeting on September 1st in the Memorial Hall at 8 pm. You pay your Council Tax - make sure it is working in your interest. The Youth Club continues to provide excellent opportunities to many young people. 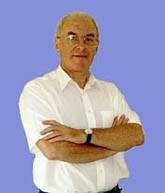 There is a dedicated and lively group of leaders who are ably led by Robert. However his new workload and responsibilities have taken him away from direct face to face work. As suspected when the changes were announced, the detailed running of the club is in the hands of part timers almost exclusively. They are excellent but have neither the time nor the expertise to plan and execute the more meaningful and challenging activities that our young people need. The number of young people attending the club is lower, though this can be partly explained by the time of year and the relatively good weather. A recruitment drive is planned for September. Another disappointment is that the Summer Holiday Programme has been reduced to 5 days from 10, reducing provision at a time when young people who are not able to have a holiday away are left to wander around Henley with very little to do. Even this is now at risk because those who administer the Youth Opportunities Fund, traditionally the source of funds to provide our Summer Holiday Programme, have at the last moment frozen the grants. This has affected all youth clubs in our area. The Management Committee decided to use its emergency reserve funds to ensure that at least the reduced programme of five days would take place. In addition the Centre is appealing to members of the local community, who are over 21 years old with an hour or two to spare during the week 23rd – 27th August, to contact us. Your help will ensure that the young people of Henley do not entirely miss out on provision this summer. The Management Committee is calling on the fund administrators to release the funds immediately. The Hub @ Henley is also facing unprecedented cuts to its budget for next year. Although there are funding issues for local government, surely the cost of reducing youth provision to our community, the legal system and social services is far greater than the amount being taken from this essential service? The committee is urging those who make these decisions to reconsider. The Management Committee decided to approach the Joint Parish Council to seek their essential support both financially and in campaigning with the County Council over provision. 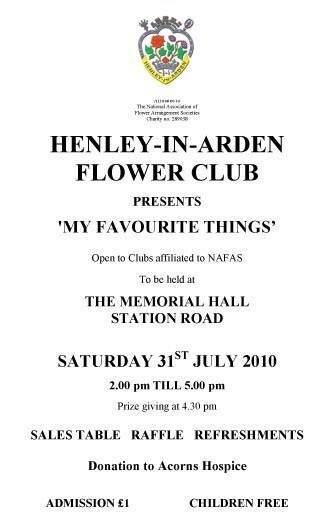 In addition the committee intend to go out to the business community in Henley looking for sponsorship funding so that they can maintain existing provision and possibly raise it to four nights per week. The committee believes the argument that young people and the town as a whole would benefit from increasing youth activities. It costs about £7,000 to run one night youth club for 40 weeks in a year. The Committee hopes that there are generous people and businesses who will support this campaign. Wednesday 7th July saw Wootton Wawen primary school have representation in the finals of both the Junior Girls and Boys Warwickshire schools tournament held at Billesley Tennis Club in Birmingham. Having won the preliminary round at Henley Tennis Club against eight other schools in June they faced a further six schools in the final. The boys represented by Fraser Kent & Ollie Didlick won all their singles matches and lost one of the doubles to become overall winners, while the girls represented by Mollie Erye & Grace Turner finished a commendable 4th. All players are members of Neil Supperstone's junior performance squads at Henley in Arden Tennis Club. Also Monday 12th July sees Fraser Kent & Christopher Silk representing Henley Tennis Club at Bidford on Avon in the South Warwickshire U12’s doubles; having won through their four pool matches they aim to go one step further and reach the final to be held at Stratford on Avon Lawn Tennis Club in August. The White Swan in Henley provided a welcome lunch-time stop for Malcolm Lockey, national president of UK's 41-Clubs, during his charity walk covering the whole 100 miles of the Millennium Way. The walk, which has been devised and way-marked by Solihull 41 Club, has now been accepted as a recognised long-distance footpath by Ordnance Survey and will be identified as such in future editions of their Landranger and Explorer maps. 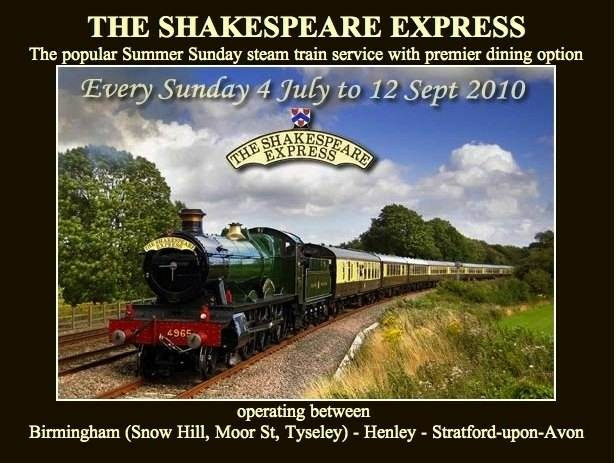 The route, which stretches from Middleton Cheney in Northamptonshire through to Pershore in Worcestershire, takes in Henley which Malcolm Lockey described as one of the many beautiful places he had come across en route. 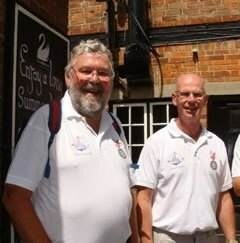 Seen in the picture with Malcolm is Ralph Gibb of Solihull 41 Club, one of the team leaders which completed the way-marking of the Millennium Way last year and planned the President's progress across the Midlands. The countdown to the 2012 Olympics begins! On Friday 2nd July, at twenty to twelve, pupils from Henley in Arden Church of England Primary School began the countdown to the 2012 Olympics. They were part of a national project to be participating in exercise at this particular moment to commemorate the countdown to the Olympic Games. The children from all classes participated, dancing to the Queen anthem ‘Don’t stop me now’. The session was led by two teaching assistants from the school, Ms Julie Bradford and Mrs Sam Barker. 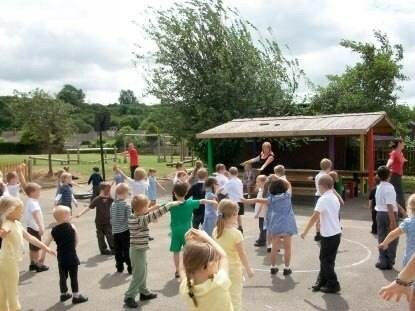 This routine came from an exercise program that children from Reception, Year One and Year Two participate in daily for a ten minute session at the end of each lunchtime called ‘Wake Up, Shake Up’. The aim of the programme is to show children the benefits of a healthy lifestyle and that exercise can be fun and exciting! Go Wilde this Summer - with Rain or Shine! What better place to spend a summer’s evening than watching theatre in the great outdoors? When two Victorian gentlemen assume the name of ‘Ernest’ to win the affections of two ladies, both determined to marry a man of that name, the scene is set for hilarious confusion in a world of handbags, perambulators, cucumber sandwiches, muffins, butlers, the English upper class and of course that theatrical ‘tour de force’ – Lady Bracknell. Directed by James Reynard, the professional troupe’s 64-date tour encompasses outdoor venues across the UK, from the Channel Island of Alderney to Northumberland, Wales and Norfolk, visiting some of the country’s most picturesque castles, stately homes and gardens. The tour includes a one night only performance in Upper Mill Garden, Wootton Wawen, Henley-in-Arden, on Friday July 23rd at 7.30pm. 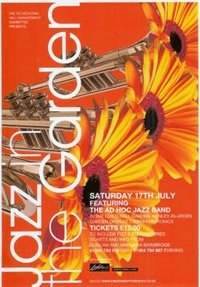 For tickets priced £12.50, (£8.50 child), ring Jayne Bridges on 01564 792533. 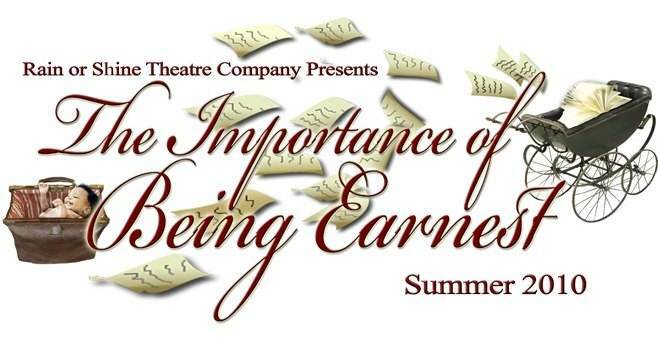 Audiences are invited to bring their own low-backed seating or rugs and a picnic to maximise their enjoyment of the al fresco performances. True to its name, the company is hoping for a long, hot summer, but bring your brolly – just in case! 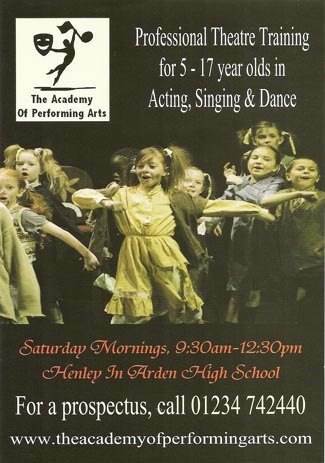 Should the weather be foul, the performance will be held in Wootton Wawen Village Hall. Through the generosity of Canon Lawrence Mortimer, parking will be available at St peter's Church. It will be clearly signposted. 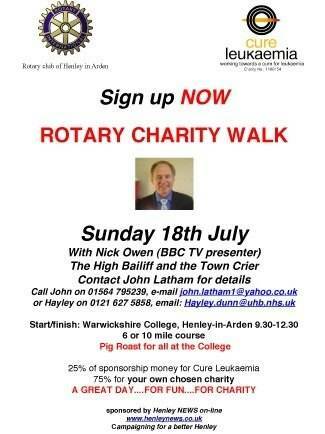 Everything is in place for this year's Henley Rotary Club Charity Walk on Sunday 18th July sponsored by Henley News On-line and the club is delighted to have had confirmation from BBC presenter Nick Owen that he will be on hand to set the walkers on their way. He will supported by the town's High Bailiff Roger Sutton. The start, any time from 9.30 to 12.30, will be at Warwickshire College which will also be the mid-way point where a pig roast will be available for all. Walkers will by then have covered 6 miles and have the choice to continue to complete the full 10 miles through the lovely Warwickshire countryside. The main beneficiary will be Cure Leukaemia, the charity working to find a cure for this life-threatening condition, and 25% of all sponsorship money will be set aside for this most worthy cause - the remainder will go to the charity chosen by the individual walker. 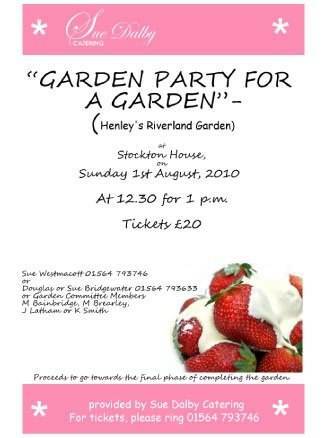 Full details can be obtained from John Latham whose details are shown in the poster below. Come and join us for a great and worthwhile day out! 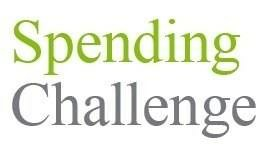 Spending Challenge - have your say! The Chancellor of the Exchequer, George Osborne, has launched a new online Spending Challenge website and is asking for your views on what can be cut from the Government's wasteful spending. In Henley, we know that the JPC's expenditure has sky rocketed in recent years. Despite losing the "Vote of Confidence" in the Referendum the ruling parish councillors have declared that "It will be business as usual". Support the campaign to "Cap Parish Councils" by registering your support and comments on the HM Treasury website. Customer's credit card number and expiration date! When you turn them in to the front desk your personal information is there for any employee to access by simply scanning the card in the hotel scanner. An employee can take a handful of cards home and, using a scanning device, access the information on to a laptop computer and go shopping at your expense. Simply put, hotels do not erase the information on these cards until an employee reissues the card to the next hotel guest. At that time the new guest's information is electronically 'overwritten' on the card and the previous guest's information is erased in the overwriting process. But until the card is rewritten for the next guest it usually is kept in a drawer at the front desk with YOUR INFORMATION ON IT! The bottom line is: Keep the cards, take them home with you or destroy them. NEVER leave them behind in the room or room wastebasket and NEVER turn them in to the front desk when you check out of a room. They will not charge you for the card (it's illegal) and you'll be sure you are not leaving a lot of valuable personal information on it that could be easily lifted off with any simple scanning device card reader. 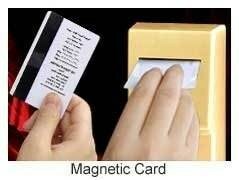 If you have a small magnet pass it across the magnetic strip several times. Then try it in the door, it will not work. It erases everything on the card. Anti Social Behaviour has decreased slightly on last year, the main problems have been experienced in Studley around Priory Court/Tesco Express with reports of youths playing football in the street resulting in balls ending up in the road and hitting shop windows. This area has also experienced rowdy behaviour and some violence as a result of people being drunk and disorderly, however officers are making effective use of the new alcohol restriction zone and dispersal zone in order to combat the problem and residents are encouraged to report all incidents so officers can continue to use these powers and make effective use of them. Reports have also been made of youths gathering and acting anti-socially in the vicinity of Henley Medical Centre Car Park on Friday and Saturdays from late evening until the early hours; officers are aware and are increasing patrols in the area when availability allows in order to combat the problem. Residents are again encouraged to report any problems at the time of they occur so officers can be deployed at the time of the incident, subject to commitments. Criminal Damage has remained at similar levels to last year, however the main issues seem to have been centred around damage to private gardens and flowers planted by Studley in Bloom. Local officers are increasing patrols in the areas and times where the problems have been experienced. Burglary Dwellings have increased slightly on last year with the Tanworth/Earlswood area being targeted. Adjoining garages have been targeted as well as the main dwellings themselves, some of these incidents seem to have coincided with the screening of England’s World Cup Matches and residents not being at home. However overall since April 1st burglary dwellings have reduced on the Alcester North Area by 34.8% when compared to the same period last year. Theft from Motor Vehicles is again similar to the levels experienced last year and is spread across the whole area. Residents are reminded to ensure you leave nothing on display in your vehicles and that they are secure at all times when not attended. Remember it’s not just what the offender takes, it’s also the damage they cause to your vehicle in the process, so remove all items from display including: sat navs (including the cradle and suction marks), laptops, coats, paperwork etc. However overall since April 1st Theft from Motor Vehicles has reduced on the Alcester North Area by 18.7% and Theft of Vehicles has reduced by 49.3% when compared to the same period last year. It’s that time of year, long summer evenings and you’re out with family/friends at the local pub, at a barbecue or partying. Everyone is enjoying themselves and having a few drinks, but you're driving and possibly tempted to have one more than you should….. If you drive at twice the legal alcohol limit you are at least 30 times more likely to cause a road crash than a driver who hasn't been drinking. Any amount of alcohol affects your ability to drive. There is no foolproof way of drinking and staying under the limit or of knowing how much an individual person can drink and still drive safely. Anti Social Behaviour, Millennium Park and Surrounding area, Studley – Safer NEIGHBOURHOOD Officers have pledged to conduct high visibility patrols in the area including 8 x extra duties until 2am. Parking issues outside Tesco Express, Studley – Safer NEIGHBOURHOOD Officers will liaise with Stratford District Council regarding enforcement and have pledged to conduct 20 x high visibility patrols in the area to deliver advice or enforcement where appropriate. Inappropriate use of Juggins Lane by HGVs and Speeding Vehicles, Forshaw Heath, Earlswood – Safer NEIGHBOURHOOD Officers will liaise with the Council and Highways regarding a review of signage and the speed limit. Officers have pledged to carry out 20 x high visibility patrols in the area to monitor HGVs confusing Forshaw Heath Lane with the M42 slip road and to carry out speed checks. Sergeant Bob Shaw and PC Andy Dunbar have now received their bikes, equipment and training to enable them to patrol the areas on new bicycles. There are now four Police officers and two Community Support Officers trained to use cycles within the Alcester North Safer NEIGHBOURHOOD Team and we hope to be seen all over the area. The bikes will give the team the ability to access previously inaccessible areas and travel quicker than on foot patrol but being more accessible than when in a vehicle. The team will mix their duties up between vehicles, foot patrol and the bikes. The long awaited signage is now up around Studley making the 'Alcohol Restriction Zone' active in the area. The 'Designated Public Place' gives officers a discretional power to request that persons stop drinking alcohol and a power to seize alcohol. The zone covers most of the centre of Studley and should be a very useful tool when it comes to combating anti social behaviour in the area. A male in Bearley has been cautioned for causing criminal damage to a garage owned by Orbit Housing. Officers from Warwickshire Police worked with officers from West Midlands Police to track down and arrest two males responsible for a burglary dwelling in Claverdon. Following sightings of the vehicle involved and excellent team work and coordination throughout, one of the males was found in possession of jewellery stolen from the Claverdon address at the point of arrest. Following further enquiries the males have since been charged with a further burglary in the Redditch area. A vehicle stolen in the Henley area was found abandoned in Lapworth shortly after the offence took place. The vehicle has since been returned to its owner and enquiries are ongoing at this time. Local officers have arrested and charged a male in Sambourne following an incident of violence in the area in late June. Henley Pub Watch, with the backing of local officers, has banned a male from entering any of the pubs affiliated to the scheme for 12 months on suspicion of possessing an illegal substance on licensed premises. Officers in Henley attended the Claverdon Fete and interacted with the local community giving crime prevention advice, providing activity colouring sheets for children and allowing them to dress up in old police uniform whilst looking around the police patrol car, which proved very popular. Officers in Henley have attended Kid Venture and Merrydays Nursery to speak to the children about Road Safety and Stranger Danger whilst providing activity colouring sheets and allowing the children to dress up in old police uniform and look around the police patrol car. The next Community Forum will be held on1st July, 7pm, Henley High School. If you have a specific concern then come along to the local surgery where you will be able to speak to your local Safer NEIGHBOURHOOD Policing Team, Warwickshire County Council or Stratford District Council Officer. 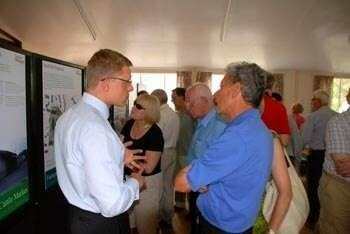 The next Henley Community Surgery will be held on 28th July, 11.30am, Henley Baptist Church Hall. The surgery gives you the opportunity to speak to members of the Parish Council & Safer NEIGHBOURHOOD Policing Team about the issues that concern you while giving you feedback regarding what is happening in the community. The next Henley Police Surgery will be on 21st July, between 11am and 1pm at Henley Police Station. A drop in facility to discuss issues/problems within the community with your local policing team. Summer is a particularly busy time for rogue traders and Trading Standards, together with the Police, have been cracking down on them with special intelligence led operations. Pretending to be from the local council, offering to tarmac your driveway using materials they falsely claim are "left over". Claiming they are working on a neighbour's property in order to give you a false sense of "trustworthiness". Using false names and addresses and untraceable mobile phone numbers. Starting work straightaway to prevent you from changing your mind and not giving cancellation rights which they are obliged to by law. To avoid becoming a rogue trader victim, never agree to working being done by the first person who comes to your home and don’t be rushed into making a decision on the doorstep. 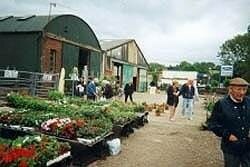 If you need working doing, seek recommendations from trustworthy local traders. To report a suspected rogue trader contact Consumer Direct on 08454 04 05 06. 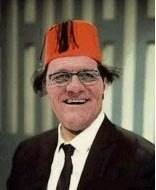 Does Capello remind you of someone???? What’s the difference between Cinderella and the England football team? Osama bin Laden has just released a new TV message to prove he is still alive. He said that the England Team’s performance on Saturday was completely abysmal. British intelligence has dismissed the claim, stating that the message could have been recorded any time in the last 44 years. Robert Green is the only man to leave Africa without catching anything. The England team went to visit an orphanage in South Africa. "It’s so good to put a smile on the faces of people with no hope, constantly struggling and facing the impossible" said Jamal Omboto, aged 6. FIFA has released a statement saying a fan didn't break into the dressing room after all. He was let in by Rob Green. What's the difference between Rob Green's spill and BP's spill? Robert Green got a cap for his. Fabio Capello was wheeling his shopping trolley across a supermarket car park when he noticed an old lady struggling with her bags. He stopped and asked, "Can you manage dear?" To which the old lady replied, "No way. You got yourself into this mess. Don't ask me to sort it out." The FA has launched an inquiry to find out how a fan found his way into the dressing room. And another enquiry into how Aaron Lennon, Emile Heskey, Robert Green, Wayne Rooney and John Terry found their way into the dressing room. The Government announced the other day that the Business Link network is to be shut down. There has been speculation about its future for some time now. You remember what Business Link is (or was)? There are a number of regional offices scattered throughout England all offering to help small businesses. They also have a great website where you can turn for all you need to know about issues which could affect your business (www.businesslink.gov.uk). Business Link's closure is part of the government's decision to abolish England's nine Regional Development Agencies. The change is due to be completed by March 2012. According to the Minister: "The regional Business Links have spent too much time signposting and not enough time actually advising.” I think he means that they’ve spent a lot of money on telling entrepreneurs where to get advice rather than actually giving it. I’ve heard many sad stories about the lack of help given by Business Link, often due to their so called advisors giving the sort of advice that sells their own services. My personal experience though is rather more positive than that. Some years ago my own company attained ISO 9001 quality accreditation and Solihull Business Link gave us a great deal of help in both advice and funding. But that was 10 years ago and this is now. So that’s alright then. Let’s see if, in its new incarnation, it can actually give real help to businesses that need it rather than just pretend that’s what it's doing. Cycling is good for health, fitness and your pocket. It avoids and minimises congestion and if used instead of cars it brings a major cut in carbon pollution (greenhouse gases). However, whichever direction you travel from Henley you soon encounter a steep hill which is hard work and slows you down. If you find these hills a problem the solution is an electric bike which makes hills and headwinds easy. Having had the opportunity to briefly try an electric bike last week I’ve been looking at what is on the market and was surprised at the range on offer. Prices start at about £450. 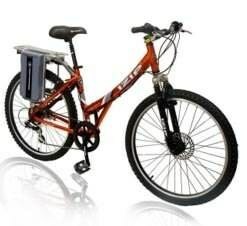 For this you get a practical bike with a range of 15 to 20 miles but, at 34 kg, a little on the heavy side. 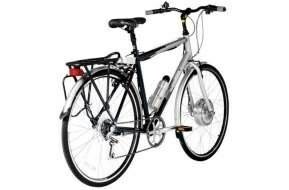 Paying another £100 gets a lighter bike weighing in at 22kg and for the same price a folding electric bike is available weighing just 24kg and a range of 18 to 25 miles. Although the batteries and motor make electric bikes a little heavier than normal bikes, the extra weight is not really a problem because the motor overcomes the weight going up hills. The bikes have different forms of assistance. On some you choose between pedalling without power, pedal and power together or power without pedalling. More sophisticated systems are also available where the bike senses how hard you are having to pedal and helps accordingly to take most of the load off you. You can choose how much help the automatic system provides. 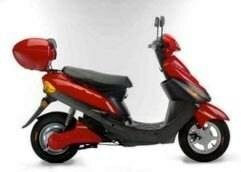 The bike I tried was like this. Such sophistication comes at a price though - £1,200 for a bike with this feature and a range of between 20 and 80 miles depending on how much assistance you choose and how hilly it is. For another hundred pounds you might fancy an electric scooter but you need a licence for these and they don’t help with fitness! 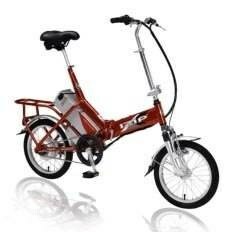 On the bikes there are many different configurations of battery and electric motor. Some motors power the back wheels, others the front. Some bikes have the battery between the back wheel and seat column, others have it pannier style beside the back wheel. On the bike I tried the battery was retained by key lock. Some bikes have the possibility of an extra battery to increase range. The cost of electricity consumed is negligible at around 1p for 4 or 5 miles which means that the carbon pollution is also tiny – about 10 grams per mile or roughly 14 times less than the least polluting cars. Research shows that owners of electric bikes do ten times greater annual mileage than owners of ordinary bikes. A large amount of this extra mileage is for commuting and shopping. Around 200 people packed Stratford Town Hall last Friday 2 July to participate in Stratford-on-Avon District Council’s first public debate about the big issues that affect the whole District. 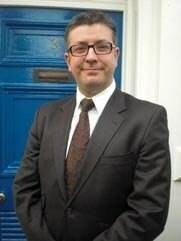 New Council leader Cllr Stephen Gray is keen to engage with, listen to and involve residents in decision-making so that the District Council and its partners can deliver services and outcomes that reflect what residents want. It was then opened up to attendees to give their views and comments on these issues and other related matters. The presentations were filmed and are available for viewing at http://stratcast.studio22wm.co.uk/television.html or by following a link from the District Council’s website. The briefing notes on the three big issues debated have also been posted on the District Council’s website, giving further opportunity for all residents and local business people to submit their comments which will be fed into the consultation process. 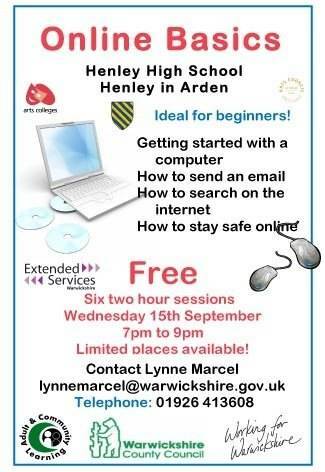 For those residents that don’t have the internet they can access it at any of the Council’s one-stop-shops at the District Council’s headquarters in Stratford, Southam and Alcester and also at the libraries in the District. In addition to the State of the District debate the District Council is holding an Open Day at Elizabeth House on Thursday 23 September to enable residents to see the Council first hand. Further information on this event will follow in the future. 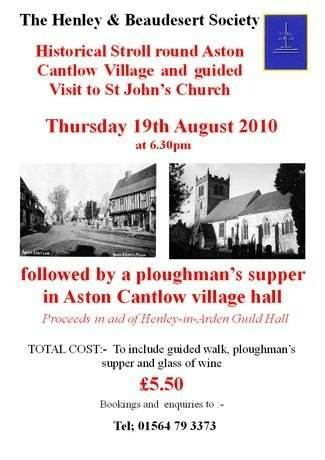 In the Stratford Herald on 1st July 2010, there was a report of the Beaudesert and Henley-in-Arden Joint Parish Council meeting held on Monday 28th June 2010. 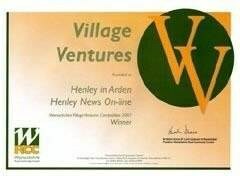 At that meeting Ms Walsh, parish clerk, refuted a statement made in Henley NEWS Online that the council had received notification about the other entrants from Henley for the Warwickshire Best Village Competition. This was extraordinary observation because in the minutes of the parish council meeting of 10th May 2010, which Ms Walsh wrote, it states “…. and asked if any councillors who were considering making an entry to liaise with Henley NEWS Online and the Heritage Centre...”. 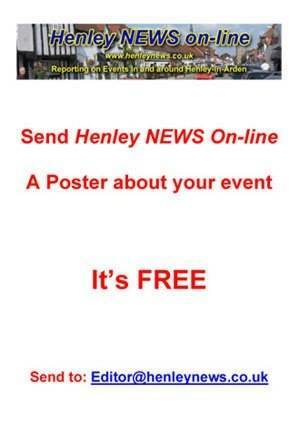 Henley NEWS Online has published over 250 editions since it began in 2004 and it is not aware of any inaccurate reporting in any of these editions as has been claimed by Ms Walsh on a number of occasions.